Mermaid backpack for girls that can be monogrammed. The lovely soft flowing mermaids over the body of this backpack will delight any young lady and the pink trim makes this a winning combination. This youthful design is a sure fit to use this bag for years to come, for school and play. The backpack offers two separate spacious compartments, each secured with a zipper. Slip-in side pouches can hold pens and pencils and the mesh side pocket is sized to hold a water or juice bottle. The bag has thick comfortable back straps and it can optionally be carried using the comfortable handle on the top. 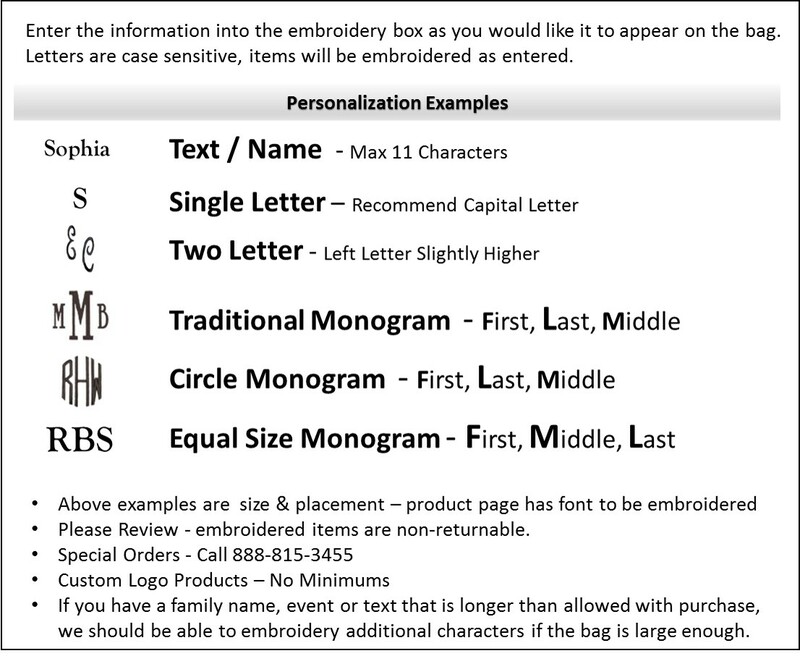 Add a monogram or name for a personal school companion. A matching lunch tote is also available to purchase search item SJ-1121.28. Mermaid ergonomic shaped backpack measures 16"H x 14.5"W x 5.5" across bottom.